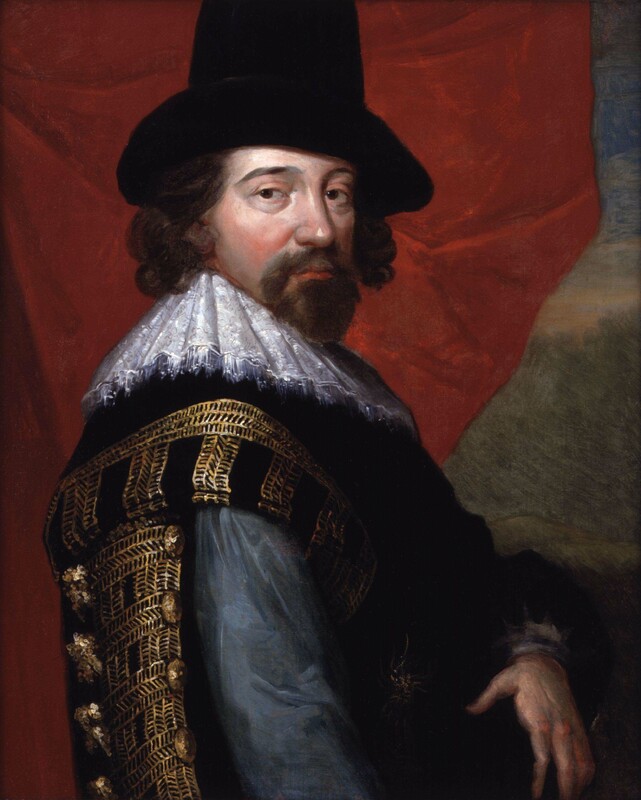 Solicitor general, attorney general, and Lord Chancellor under James 1 of England and Ireland, Francis Bacon’s (1561-1626) prodigious learning and tireless pen earned him history’s accolade as the architect of the edifice of modern science. Had he been as shrewd in politics as he was brilliant in philosophy, law, and literature, he might have spared himself the ignominy that afflicted his final years, when charges of bribery in 1618 led to his public downfall. Bacon did, however, succeed in his great ambition of establishing a systematic classification of human knowledge built on inductive empiricism. Moreover, he foresaw the institutionalization of science as a collaborative venture, as reflected today in the modern research university. 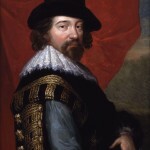 Toward the end of his New Atlantis (1626), the last of his major writings on the pursuit of knowledge (the others being the Advancement of Learning, 1605, and Novum Organum, 1620) Bacon declared what would remain to this day the principal justification for the public support of science: “The end … is the knowledge of causes, and secret motions of things; and the enlarging of the bounds of human empire, to the effecting of all things possible.” As a cultural engine of modern life Bacon’s promise has arguably no intellectual competitors. Indeed, for many it has become something of a religion in and of itself.